2. Fry the onions, red chillies, turmeric powder, coriander powder, cardamom, ginger, garlic and cinnamon for a minute or two. 3. Add all the other ingredients (coconut milk at the last). 5. 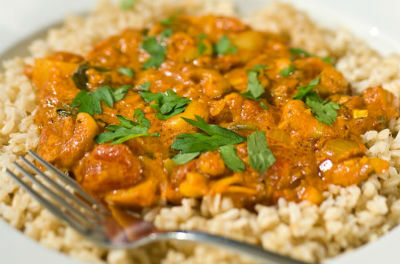 Reduce flame and simmer for 15 minutes or until the curry becomes thick. 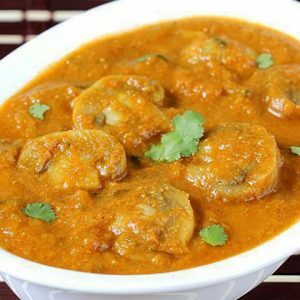 Feel free to comment or share your thoughts on this Cashew Nut Curry (Kaju Curry) Recipe from Awesome Cuisine.